AdHitz is a subsidiary company of ClixSense, whose Corporation is headquartered in Hampstead, NC. After reviewing Infolinks and PropellerAds media network, today I am going to review AdHitz.com. It would be good Adsense alternative for you if you have been rejected or disapprove by Google Adsense. It would also best for the publishers who get very low CPC from Adsense or other Ad networks, as it pays fixed CPC rate to the publishers. I ran Adhitz Ads on my blog Tips2secure on 24th January 2016. I delivered 2,640 Ad impressions. 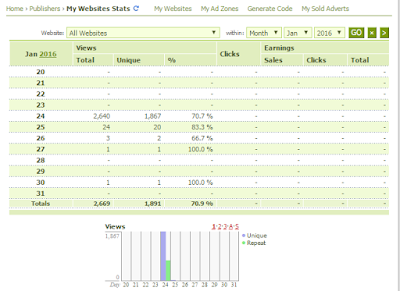 But unfortunately, I did not get any click (my blog CTR was zero) and so my earnings were Zero. But it does not matter a lot. It may work better on your blog. You may get higher CTR. Also, I just ran the Ads for a single day. It might also worked for me If I ran the ads for some more day. What I liked the most in Adhitz? They pay a fixed CPC rate to their publishers. They also charge a fixed Cost Per Click rate from their Advertisers. CPC rate varies from country to country. You can also check the rates in this post. The Second thing that I liked their process of instant approval. What I did not like in Adhitz? The Design of their website. They accept PTC (Paid to Click) websites. Also, this ad network was funded by the owner of a PTC website Clixsense.com. 90% Ads are of money making websites. Ads do not relevant to contents. Different formats of Ads Avaialble. You can bid for CPC according to your wish and you can earn 70% of that amount on every cpc. If Advertisers buy space on your website then you will get paid slightly higher than their network ads, but it would depend on your CPC bid. For whom it would perform better? It may perform better for the publishers who do blogging or write articles on money making ways and concepts. I am not working on money making niche, should I try or not? Yes, of course, you should give a try. They also have some other category Ads but in lower quantity. You may get better results. So, you should try for it and the check the results. I would love if you post your experience and results here after trying this Ad network. What type of Ads they have? Text Ads - text-based ads that consist of an ad headline and ad description (also known as ad copy or ad text). Image Ads - most commonly known as Banner Ads. Sizes available are constantly updated to meet the needs of the ever-changing advertising marketplace. What are their CPC rate for both Advertisers and Publishers? To check the CPC rates in detail, do follow this screenshot. Publishers get 70% of the amount charged by Advcrtisers for CPC. The value of the click is determined by the country where the click originated. What is minimum payment threshold and what are the payment processors? The minimum earnings to be processed is $25.00 for Paypal. If your account balance has not reached the minimum payout balance, your balance will carry forward until the next pay cycle when the minimum payout balance is reached. I am a newbie, I want to start with Adhitz network, so what would be the initial steps to work with thid Ad network? 1. Visit their website (www.adhitz.com). 2. Sign up as a publisher (Website owner). 4. Set the CPC rate for your site. 5. 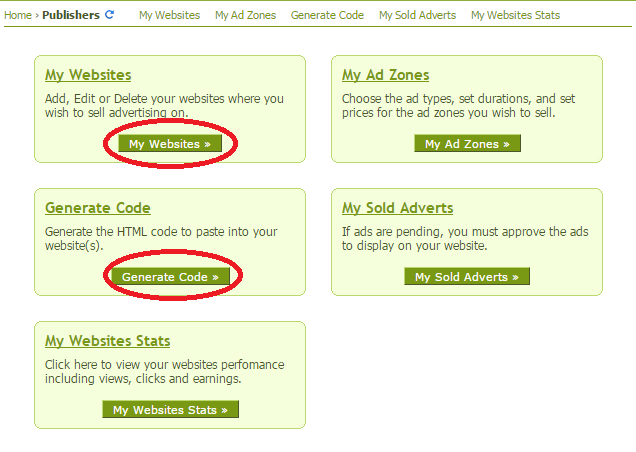 Navigate to 'Generate Ad code'. 8. Ads will start appearing on your site within 10-20 minutes. 2. Sign up as Advertiser. 3. Proceed with your Ad campaigns according to your budget to invest on Advertising. 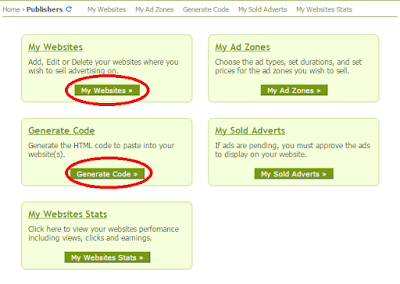 You can also select the sites manually and bid to display your Advertisements. After reading the all major pros and cons of Adhitz Ad network, you can easily decide what you should do. I can't force anyone to go for this Ad network because results always vary according to the different niche and category of websites. Nobody knows what will perform better for whom. That all depend on the type of the Advertisements, experiments and testing with different ad size and formats. Message: I hope that you have enjoyed 'Adhitz Review 2016: Fixed CPC for Publishers and Advertisers' article. However, if you want me to deliver more items, then please share my post. You can use Social Sharing Widget provided at the end of every post. After all, Sharing is Caring! Get fully approved adsense accounts & pin verified google adsense accounts. Good for all new blogger who wants to earn money online. It works better than ptc sites earning. i am currently using it on my website http://www.tv-tune.com but I am not very happy with their cpc, i Hope the cpc will get better with the time. Am also dropping them since 0.04 us just way to low...better going for a CPM based network.